Watch Dumbfoundead in his latest video ‘Murals” Korea Town's own Dumbfoundead is back! Veteran LA rapper Dumbfoundead is back with a dope new track and visuals. Check out Murals and let us know what you think. 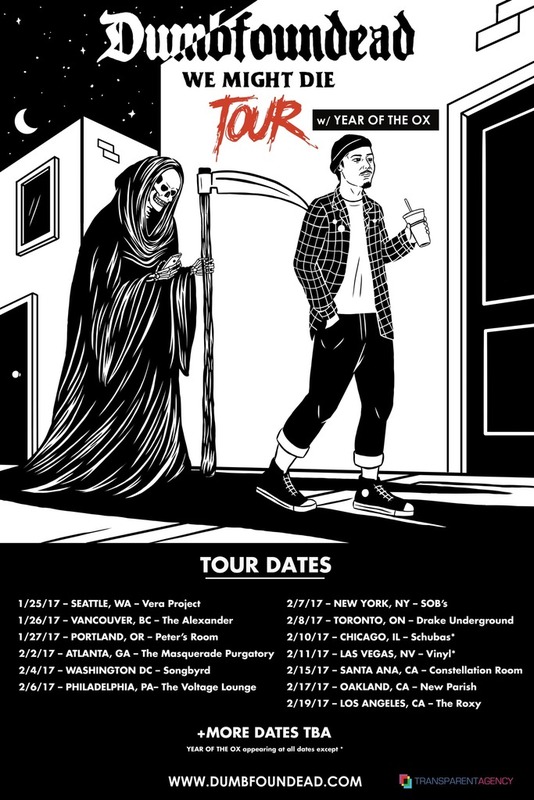 Stay tuned as Dumbfoundead will kick off his We Might Die Tour in Seattle on January 25th. The North American leg will also make stops in Atlanta, Chicago, DC, Toronto, New York and hometown Los Angeles. Joining him on the road will be Virginia duo Year of The Ox who recently scored 9 million Facebook hits with their freestyle Seven Ringspartnership alongside Team Backpack. Tour dates are listed below and tickets will be available this Friday here. Fans can also purchase We Might Die merch bundles at: dumbfoundead.com/store. “Hey guys. I’m going on tour across North America and taking my friends Year of the Ox with me! The We Might Die tour will hit 12 cities and I hope to meet all of you before we DIE!” exclaims Dumbfoundead.